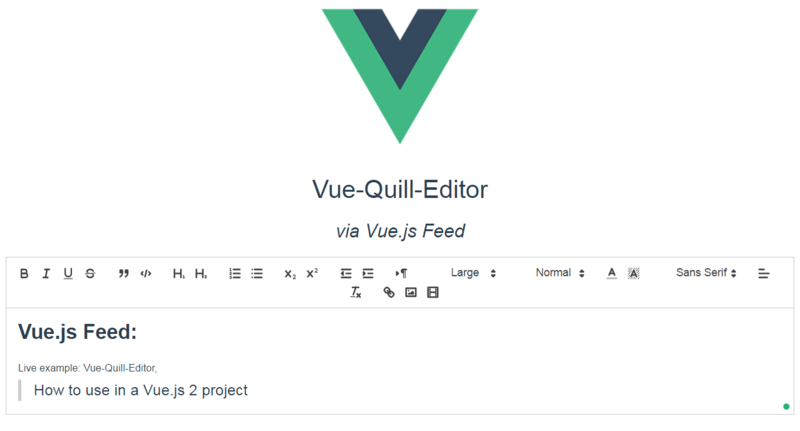 A component for Vue 2.x to help you use the Quill editor in your apps. 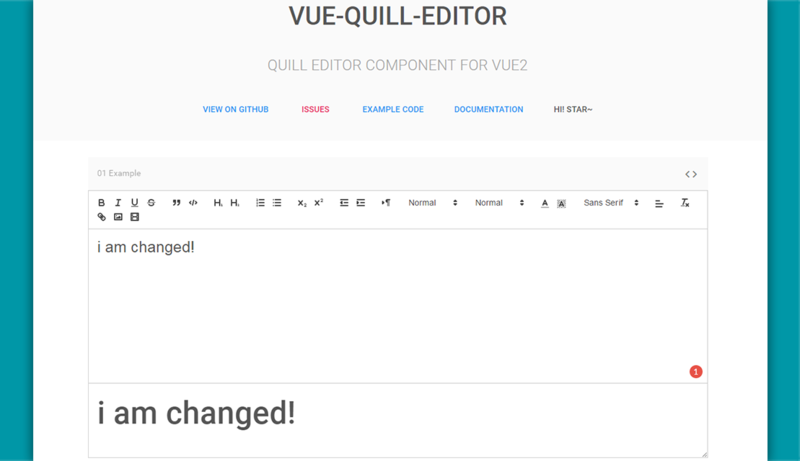 It has all the features of the Quill editor, headings size, font styles, blockquotes, list, links, images etc. To add your own config, visit the Quill API..